What Did We Learn from Billionaire Cliff Asness’ Presentation at the Bloomberg Summit? 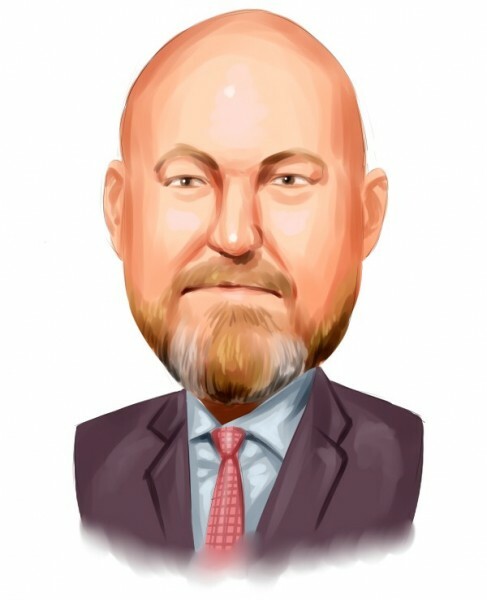 As the hedge fund manager of AQR Capital Management, a quant fund that runs a $50.44 billion equity portfolio, billionaire Cliff Asness is content with some ambiguity. At the Bloomberg Markets Most Influential Summit about a week ago, Asness acknowledged that he doesn’t know the future price of crude oil, where China is headed, or what the Federal Reserve will do and when it will do it. In fact, Asness might not know all the stocks his fund owns. “[…] We take very diversified positions. When you talk to a quant, we often say things like ‘yeah we have about 1000 stocks long and 1000 stocks short’. One of my defining experiences at Goldman Sachs was when the current quant, (when one doesn’t work for a while, we switch quants) was asked ‘do you own this stock?’, and he responded “I don’t know” and the person looked like he was from Mars. If you’re a quant, I know most of them, but I don’t know all 1000 long and all 1000 short,” Asness said. Given that Asness was a research assistant to the founder of the Efficient Market Theory, it might seem logical that he wouldn’t particularly care to know the fundamentals of a stock, since most Efficient Market Theory proponents believe price reflects all relevant fundamentals of a security at any given time. But as it turns out, Asness isn’t an Efficient Market Theory supporter, and his hedge fund’s solid performance over the years has shown that the market can be beaten by those resourceful enough to figure it out. At Insider Monkey, we track major investors like Asness, in order to identify actionable patterns and profit from their moves. Our research has shown that hedge funds’ large-cap stock picks historically delivered a monthly alpha of six basis points, though these stocks lagged the S&P 500 Total Return Index by an average of seven basis points per month between 1999 and 2012. On the other hand, the 15 most popular small-cap stocks among hedge funds outperformed the S&P 500 Index by an average of 95 basis points per month (read the details here). Since the official launch of our small-cap strategy in August 2012, it has performed just as predicted, returning over 102% and beating the market by more than 53 percentage points. We believe the data is clear: investors will be better off by focusing on small-cap stocks utilizing hedge fund expertise rather than large-cap stocks. As of the end of June, AQR Capital’s five largest equity positions are represented by Apple Inc. (NASDAQ:AAPL), Microsoft Corporation (NASDAQ:MSFT), Valero Energy Corporation (NYSE:VLO), CVS Health Corp (NYSE:CVS), and Gilead Sciences, Inc. (NASDAQ:GILD), in which the fund owns 7.61 million shares, 12.84 million shares, 8.21 million shares, 4.80 million shares, and 4.18 million shares, respectively. Asness’ position in Apple is worth $954 million, while his Microsoft stake is valued at $566 million. His Valero, CVS, and Gilead holdings are worth $513 million, $503 million, and $489 million, respectively. While Asness might not know all the stocks he owns, he does have strong opinions on economics, valuations, and risk and returns. One thing that particularly concerns the investor are today’s bonds and stocks valuations, which to Asness are pretty frothy. He pointed out the current price of the S&P 500 divided by the average of the last ten years of earnings adjusted for inflation (or Shiller P/E ratio), is around 25, which, when compared to the past Shiller P/E ratios in the last century, would rank in the 90th percentile. Asness noted the inverse of the Shiller P/E ratio, which can be a good indicator of the average return of stocks for the next 10 years, is a paltry 4%. He also stated that expected bond returns over the next ten years are worse than expected equity returns, as the current 10-year Treasury yield minus economists’ average prediction of inflation is lower than 2%. To Asness, all of this is concerning because bond and stock returns are usually not low at the same time. He did acknowledge, however, that market returns for the next ten years can still be good as long as the overall earnings quality increases or the earnings growth rate outperforms expectations for the next ten years.